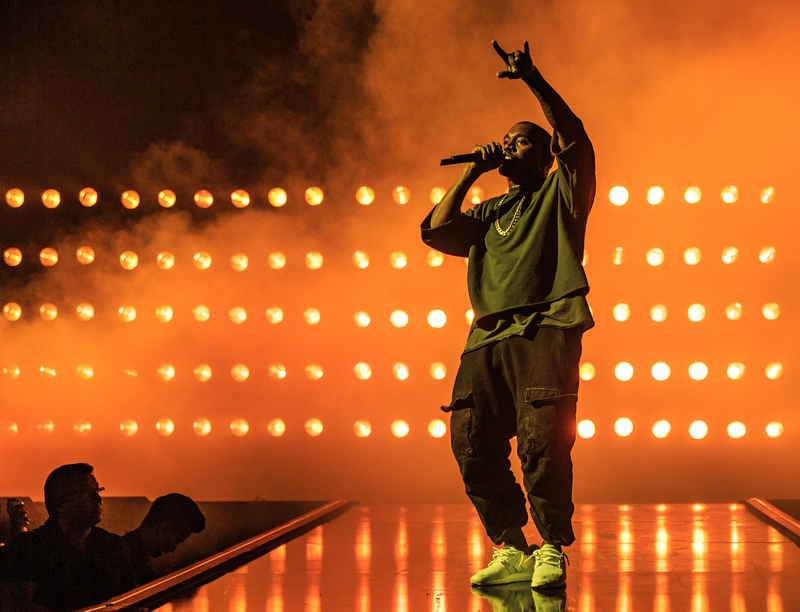 Now that's how you drop a new album — Kanye West debuted The Life of Pablo during the premiere of the third season of his fashion line Yeezy, and each new song was better than the last. With a mix of old school rap and soaring soul vocals, I thought it would be hard to point to just one lyric that defines Kanye West's The Life of Pablo — but that was before I heard the track "FML." The song plays out like an open wound, with West exploring the expectations placed upon him, his past self, and who he is now. When he drops the line, "I been thinking about my vision/ Pour out my feelings revealing the layers to my soul," you know you are hearing from a very different West. The lyric is honest, if nothing else — and it totally sums up the entire album. With every track, West allows you to see him the way he sees himself — and this is special, because considering there is so much celebrity surrounding West, it is not always easy to cut through and see the man behind the fame. On The Life of Pablo , West lets his defenses drop enough that you get a sense of what matters most to him in his life, and it isn't money, it is his family. He is literally "pouring his feelings" and "revealing the layers" to his soul in The Life of Pablo, and it's impossible to ignore. Whether it's his heartbreaking ode to his father, "Father Stretch My Hands," or the fear of disappointing his mother in "Wolves," West puts his family — both his parents and Kim and the kids — above all else. His past and present collide in "High Lights" as he talks about his children and how hard he will fight to protect them. Does this album, and that lyric in "FML," indicate a softer side to West? Not quite. He still has plenty of time to rap about money and feuds, and he does — but he is willing to bare his soul to his fans. That is something new and unique to The Life of Pablo. West's vision leads to a cohesive album that is truly about how he sees the world and himself. He lets his feelings be known on everything from the Black Lives Matter movement to his position as the ghetto Oprah ("You know what that mean! You get a fur! You get a fur!"). It's time to respect the fact that West does have layers, and his music is maturing to the point where he is not afraid to let them show. That is something West fans can get psyched about, especially if it leads to more albums as cohesive and adventurous as The Life of Pablo.